Pat Sloan: meet my new friends cat & vee! 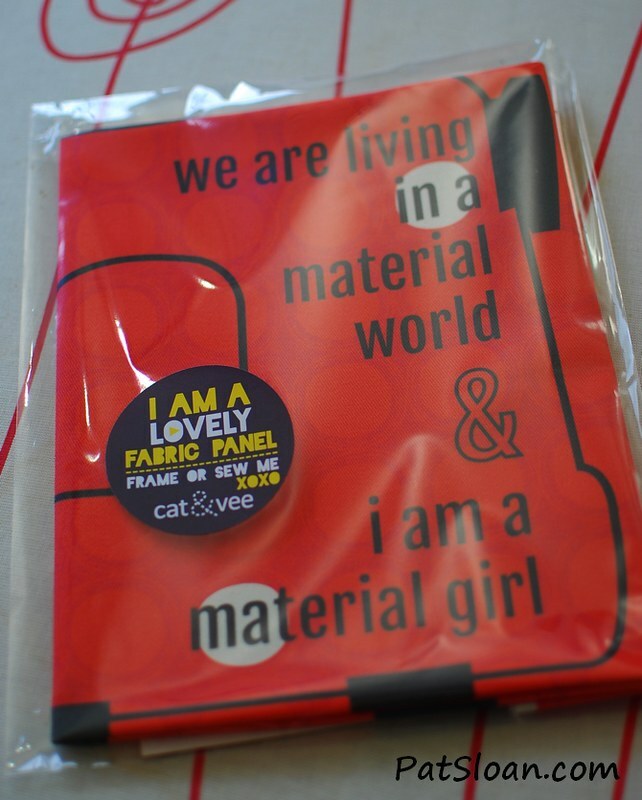 One day while on Instagram I saw I was being 'tagged'.. popped on over to it and my good friend Jane from QuiltJane, had tagged me in a 'cat & vee' photo she shared from the quilt show in Australia. This was a Squeal Worthy moment!! 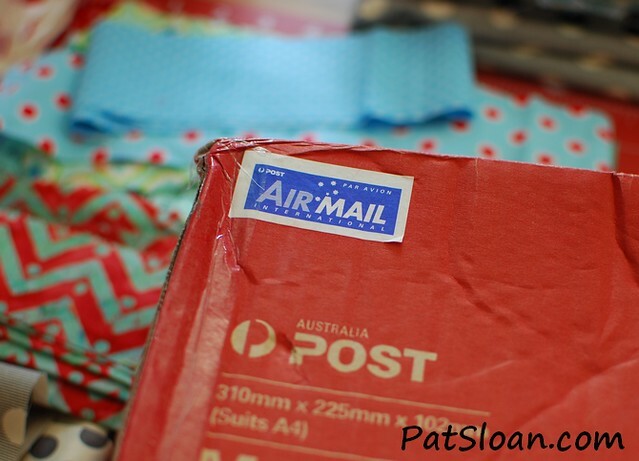 As it all transpired.. the lovely and uber talented Catherine and Vanita wanted to send me a package. When you open your mail box and see AUSTRALIA.. well.. my heart started to race.. just a bit.. wouldn't yours? 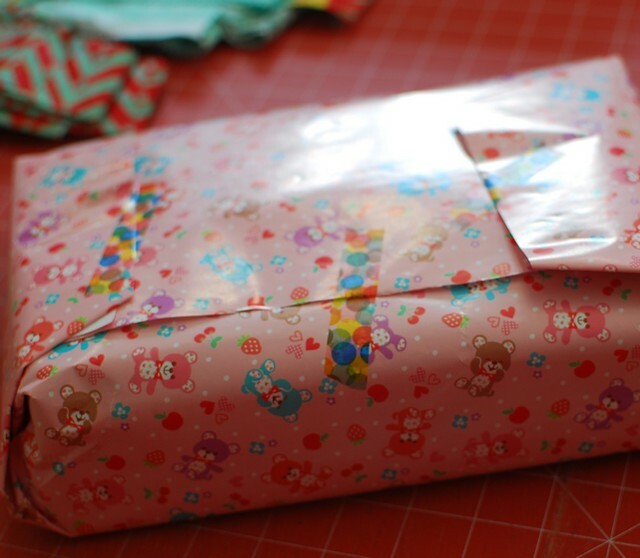 Inside it was a birthday present.. so very sweet! First level was chocolates and Tim Tams!! 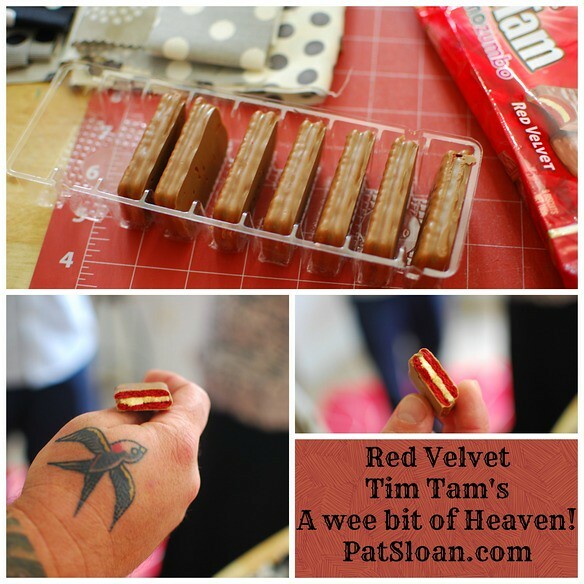 Oh sweet heaven.. Red VELVET Tim Tams! 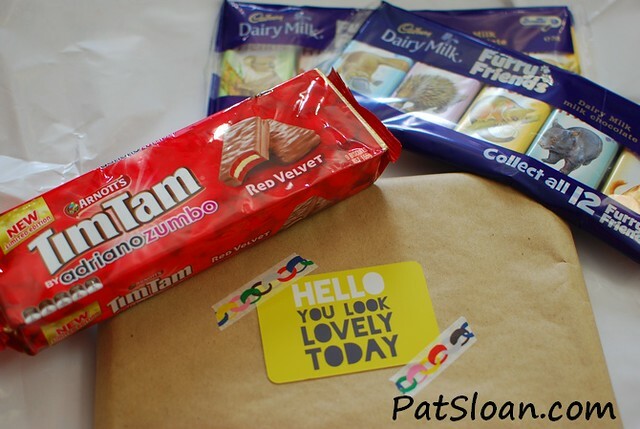 Catherine and Venita wrote me a letter and told me the Tim Tams are designer ones from Adriano Zumbo, a chef in Australia. Who knew! I guess it would be like us having Bobby Flay design a special oreo.. we'd ALL need it. Plus.. why don't WE get Tim Tams here?? 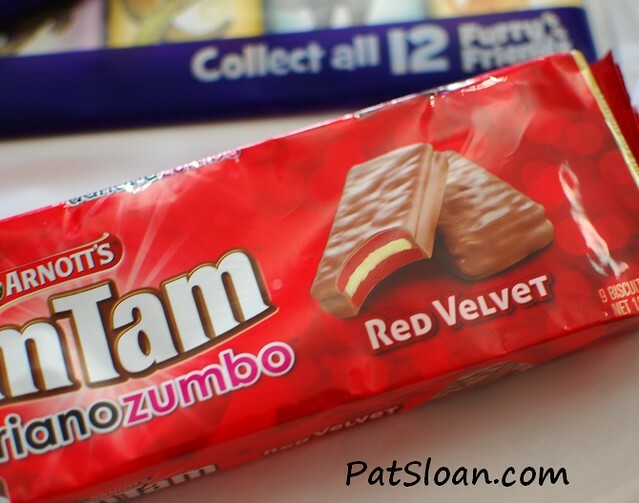 mmmm... this lack of tim tam-dom is a serious problem folks. We must get on it. Here is a close up of the package, so you can write your congress person about our lack of tim tams here and just forward this article.. they will understand. It was my family's lucky day as I received this awesome gift while they were visiting! my brother modeled the red Velvet tim tam for me... after he had eaten a few.. for research.. it's always.. for.. research.. remember that... got it? okie dokie! What was in the other present? Woohoo!! The amazing and most awesome panel that Jane had showed me a picture of!! can you STAND the suspense? no.. let's continue! Adorableness.. and can you see the dots.. DOTS.. and MORE DOTS!! RED and dots.. oh my I love this! 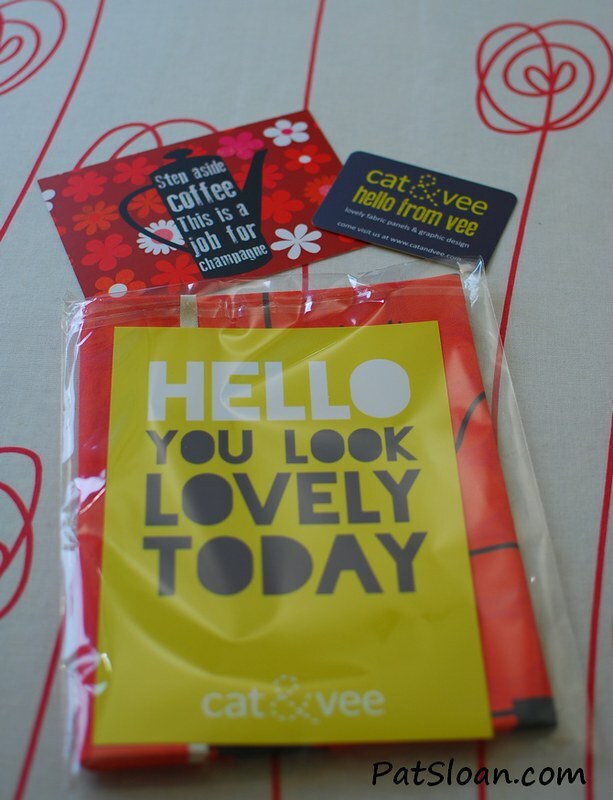 catherine and vanita you are both SO AMAZING! you can buy your own, in other colors.. HERE at their store. They sent me more than 1.. and I plan to frame one.. and i think put one in my Birthday block quilt.... Does that sound like a good idea? yes.. I thought so! But Wait I have MORE! 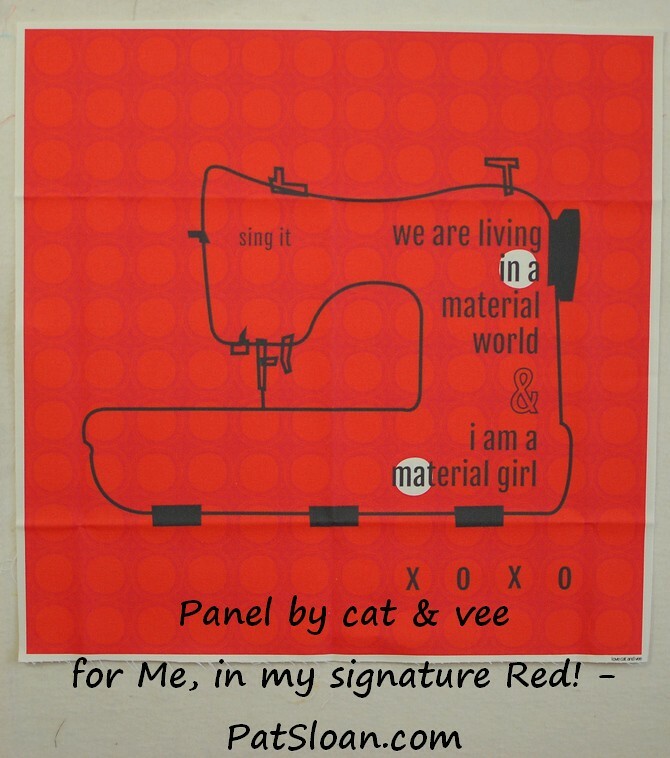 HOW MANY Sewing machines do you have and what brand they are. Robyn who wrote "I am about to appear as a sewing machine hoarder! Perhaps I will get my own reality series? I own ...gulp...14. My main sewing machines are my Grandmother's 1936 Featherweight, a Bernina 1530 and 180, 2 Pfaffs and a Brother PQ1500S. 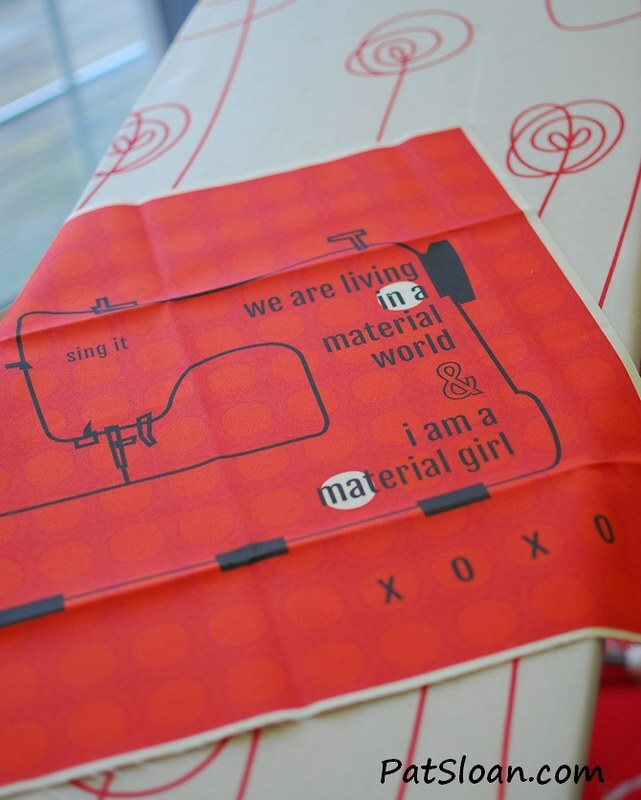 I have a Vesta (German) Treadle and a 1950s Turquoise and Red (swoon) Western Auto made by Brother. I am restoring a pink Necchi and a 1950s Singer. I also own 2 Juki sergers, a Brother coverlock and a Babylock felting machine (which was given to me as a payment for work I did). Do I need a 12-step program??" and Deborah who wrote "Wow. Just. Wow. I own 3 machines: two are vintage Singers and the one I actually use on a regular basis is a Kenmore. Hoping to add an HQ Sweet Sixteen to my "collection" someday. :)"